Make a mark! 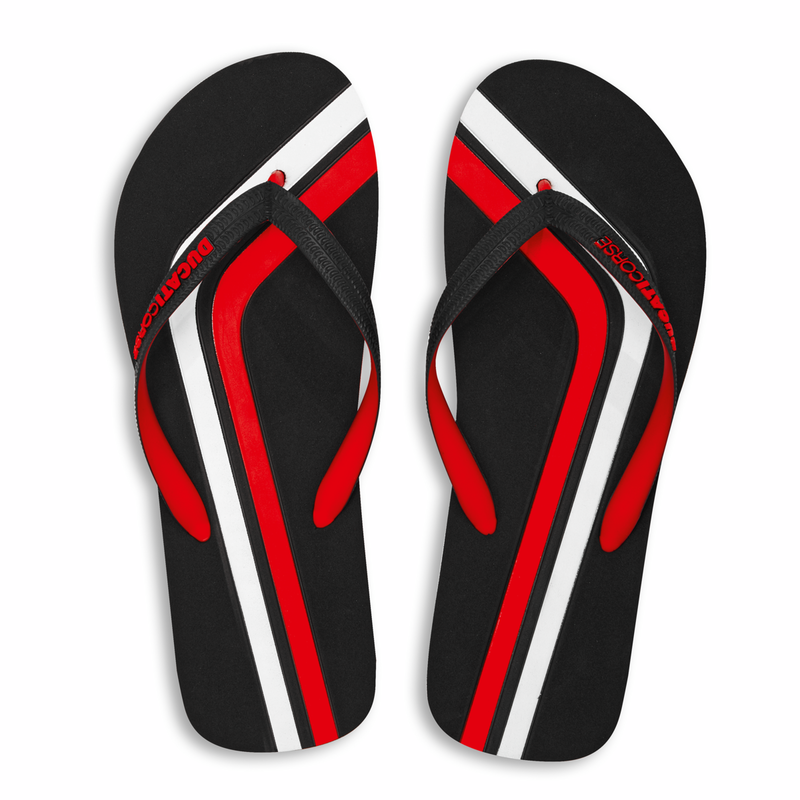 The unmissable Ducati Corse flip-flops cleverly mix taste and comfort while leaving the Ducati Corse logo on the sand behind you. 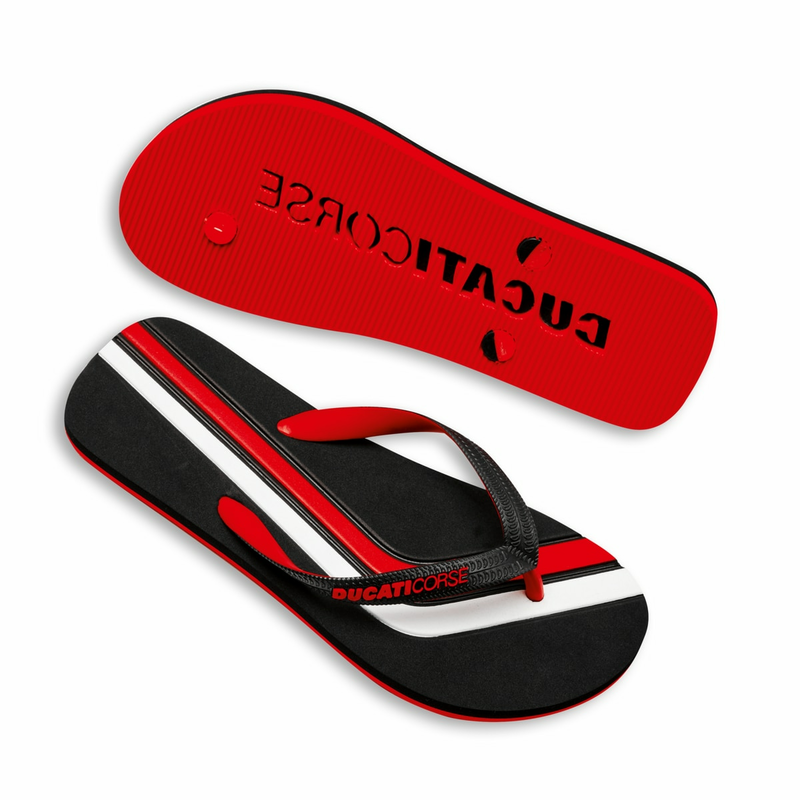 Simple and bold at the same time, they are available in a unisex version.